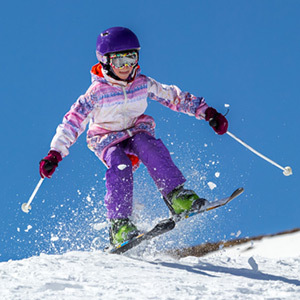 What's your favorite winter sport? For some, it's all about swooshing down a snowy trail on skis, a board, or a sled. For others, the main attraction is skating at an ice rink or a frozen pond. If you're more of an indoors athlete, you may enjoy a fast-moving game of basketball or a round of squash. Or, you might take a turn on a climbing wall or a trampoline. What do all these activities have in common? They're fun, they're great exercise…and they all come with a risk of injury to your teeth. It's easy to see how a collision on snow or ice could result in a blow to the mouth. But did you know that basketball (along with hockey) is among the sports with the highest risk of facial injury? What's more, many "non-contact" sports actually have a similar risk. Located front and center in the face, the incisors (front teeth) are the ones most likely to sustain injury. Unfortunately, they are also the most visible teeth in your smile. With all of the advances in modern dentistry, it's possible to restore or replace damaged teeth in almost any situation—but the cost can be high, both for present restoration and future preservation. Is there a better alternative? Yes! It isn't sitting at home—it's wearing a custom-made mouthguard when there's a risk of facial injury. Most people don't ski or play hockey without protective gear like a helmet. A mouthguard can effectively protect against dental injury that might otherwise be serious. Available here at the dental office, a custom mouthguard is made from an exact model of your own teeth, so it's comfortable to wear and fits perfectly—but no safety equipment can work if you don't use it! So whether you like to hit the trails or the gym this winter, don't forget to bring a custom-made mouthguard. It's a small piece of gear that can save you from a big headache! Are Dental Bridges Right for Me? Root Canal Pain — Do You Know The Symptoms? Quiz Yourself on Root Canal Treatment: How Much Do You Know?